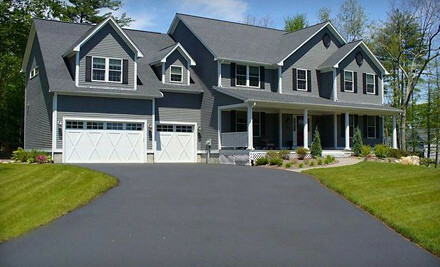 Locally known and respected is the driveway paving services of Everlast Blacktop. Our reputation for providing the most professional services with top quality blacktop driveway workmanship is unmatched. We will work with you to create a quality, long lasting asphalt driveway or blacktop driveway for your home that you will be proud of for years to come. For over 25 years our driveway paving services has been bringing value to the homes and businesses of Inverness and the surrounding communities. You can trust Everlast Blacktop to deliver the blacktop driveway or driveway sealcoating services that you have been looking for! The small suburban village of Inverness is located in Cook County, Illinois. The residents of Inverness have seen substantial growth, however, it remains a quiet, stable and primarily residential community of attractive homes with a population of almost 7,400. Maintaining a beautiful and long-lasting investment is vital to the residents of Inverness, that’s why in Inverness residents depend on Everlast Blacktop for their asphalt driveway or blacktop driveway needs. Contact us today to see why we are the first name in driveway pavers for homes and businesses in and around Inverness. Everlast Blacktop is committed to making sure our Inverness customers are satisfied with their driveway paving experience and know that they have received the most affordable prices in the industry. We offer uncompromised service and guarantee your satisfaction when you use Everlast Blacktop for your next blacktop driveway or driveway sealcoating job. For more information on products or services available in the Inverness area, call one of our friendly customer service representatives at (630) 855-5572. Free onsite quotes or project estimates are always available.